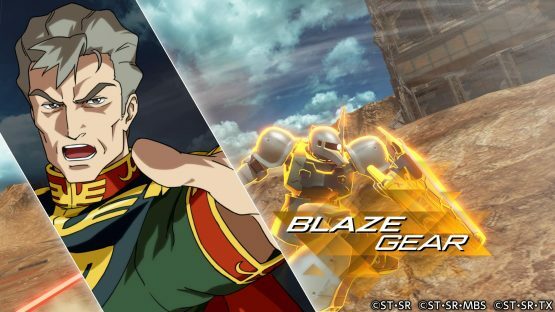 Not long after we reported that Zeydra would be added to Gundam Versus, Bandai Namco delivers yet another stream of new DLC information for this Gundam team battle action game that has been released worldwide exclusively for PlayStation 4. It turns out that two more new DLC mobile suits will be added within this month, which are Raider Gundam and Gellert Schmeisser’s Zaku I. The first one is a rather well-known mobile suit in the Gundam community. The GAT-X370 Raider Gundam from Mobile Suit Gundam SEED is piloted by Clotho Buer, one of the three Biological CPU humans raised by the Earth Alliance. He joins his fellow “Druggies” team member Shani Andras who is already included in the base roster with the Forbidden Gundam, and this just leaves Orga Sabnak’s Calamity Gundam which currently only appears as a non-playable Striker unit in Gundam Versus. As the Raider Gundam is built with the X300 frame, the same one used for Athrun Zala’s Aegis Gundam, it is able to transform into MA mode for faster movements. With an in-game cost of 300, it mainly uses the 2-barrel 52mm Hyper Velocity Shield Cannon as its primary ranged weapon, although the Zorn energy cannon is also available as sub ranged weapon. The Mjolnir spherical breaker will be its melee weapon, and it can even shoot a nuclear missile as its ultimate Burst Attack. The second new DLC MS announced comes out of the blue. This is a Zaku I customized for Gellert Schmeisser, an old friend of Ramba Ral who became the captain of Midnight Fenrir Corps. Both Gellart Schmeisser and his Zaku I debuted in the 2001 PlayStation 2 game Mobile Suit Gundam: Zeonic Front, where the story was also featured in the 2014 PlayStation 3 game Mobile Suit Gundam Side Stories. Despite the Zaku I being one of the earliest mobile suits, Gellert’s customized unit will be given a standard in-game cost of 300 rather than the 200 given to low-performance units. It comes with a rather standard equipment set for a Zaku, which are 90mm Machinegun, Heat Hawk, and Raketen Bazooka. But it is also able to throw a Smoke Grenade as a special ranged weapon and thrust with a Heat Saber for its special melee attack. This particular DLC will also come with a new BGM titled Fenrir, which should be the theme of Midnight Fenrir Corps in Zeonic Front. 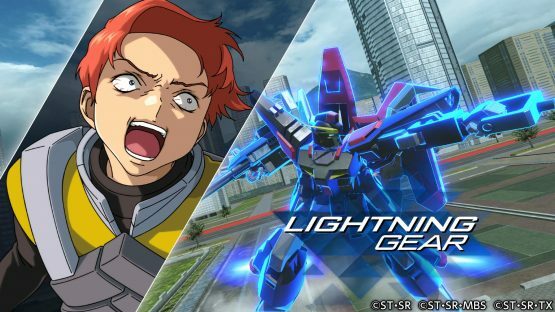 Atlas Gundam from Gundam Thunderbolt and Zeydra from Gundam AGE will be added to Gundam Versus on November 21, while Raider Gundam and Gellert’s Zaku I will be available on November 28. Bandai Namco has promised a long-term support for Gundam Versus, so we’d expect even more mobile suits to be added next month as well.